It has been a long and manic day. Pretty productive for a Monday, all things considered, but it's going to be a doozy of a week. I'm not sure if I'm prepared to blog two hours tonight, but I just might head to bed once it is over. 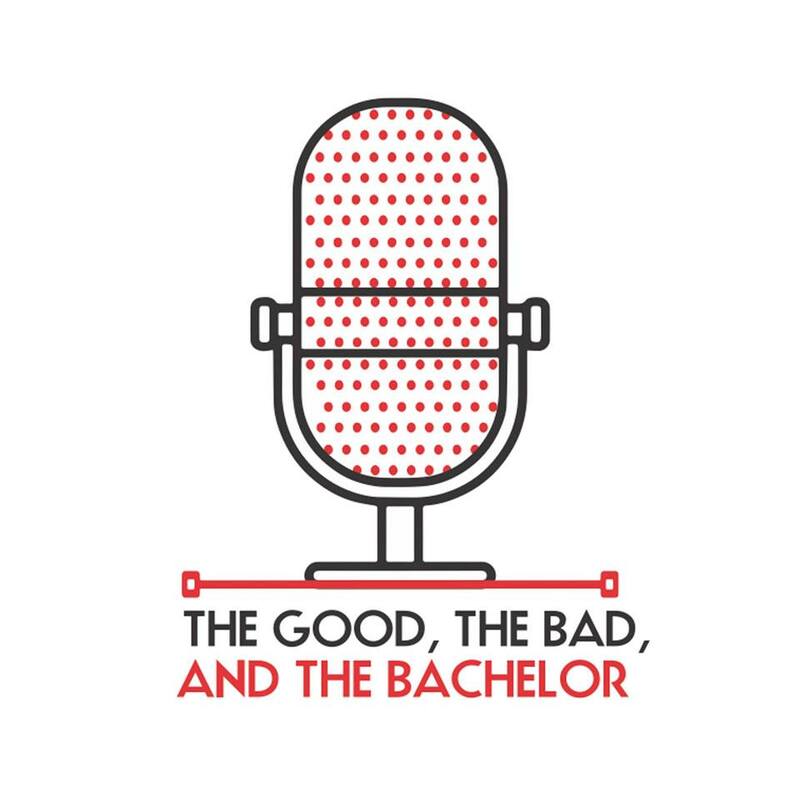 However, the good news is, I'll be a guest on the new podcast, The Good, The Bad and The Bachelor, hosted by Brian Israel this week. I'll share details when I have them. Tonight, we are taken to Thailand, and by we, I mean Colton and the 13 women. Cue Colton taking an outdoor shower in middle of absolutely beautiful resort. The women are just settling in when the date card arrives. "Heather - Let's experience something new. - Colton." Will Heather get her first kiss? She's brushing her teeth really well, just in case. She sets off for their date in what looks like a swimsuit and cut-off shorts. I guess they are headed off on a yacht. She's like anorexic skinny. Ok, so it's not a yacht, but it is a boat. For some reason, she thinks Colton may be the special guy she can kiss. Deep down in all her relationships before, she knew the guy wasn't the right guy. At the resort, Elyse laments about how hard it is for all the other women to get so excited about their one-on-ones after getting to go on one of the first ones. She wants some validation that Colton is on the same page. Oh, c'mon Elyse. As one of the older women, be mature and realize this is how it goes. Don't be so needy and whiney about not having any time in Thailand with him. You just got there. Alright, back to the boat. They head to the floating city and go shopping. Colton asks her at one point if she blows kisses. Then we see close-ups of Colton's mouth smacking food. Then, we learn that making out makes up for a lot of awkward silence. Perhaps, it's just the editing. There is a knock at the door. "Demi, Caelynn, Hannah B., Sydney, Tayshia, Kirpa, Onyeka, Nicole, Hannah G., Elyse... Will our love survive? Katie must have been named in the list, but I listened two or three times and never heard it. I don't actually know who the heck she is after 4 weeks. I had to look back on last week's rose list to figure out who I was missing. The fact Cassie is not on the card means she gets the other one-on-one. Elyse is trying not to have an emotional breakdown. Back to the date. Heather talks about why she's never had a kiss. Colton is glad she brought it up, but it is a concern for him in moving the relationship ahead. She tells him it's not a case of only kissing her husband. They don't want this to keep them from moving forward. My satellite keeps freezing, so I'm missing some of the conversation. Colton does give her the date rose. She really wants to kiss him, but she's going to have to make the first move. He's not. Yeah, kissing makes up for a lack of conversation. Finally, the fireworks start so they can oooohhhhh and aaahhh over them. With this all going on overhead, they go in for a kiss. She was hoping for fireworks, and there were literal and figurative fireworks. Colton says he's on a high. Just when they think Heather isn't coming back because she's been gone a long time. She comes back and tells everyone they kissed. Elyse has been fixing herself up. When Heather arrives, Elyse leaves. All the women know she's all dressed up. Where do they think she's going? Elyse's date was one of the best days of her life, and she wants to have that kind of high forever. Now she has her doubts. Doubts herself. Doubts about her and Colton. She finds his room and makes her way in to talk. 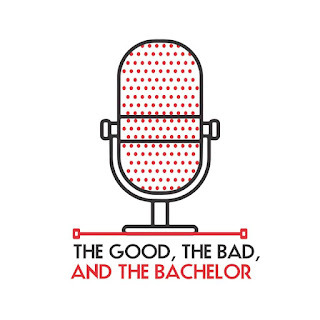 She wants to learn the fun and silly things about him and the time a relationship requires, but she can't call Chris Harrison and ask for another one-on-one. He thinks they have that in their time together. Elyse says it isn't about jealousies. She thinks there is something off with them. He doesn't get it. She says she can't get engaged after a few months of him sharing his time with other people. Colton asks if that means she's leaving. She can't promise she can get there. What does she seriously expect? Now, I'm confused. She's talking about the other women saying they are falling in love with him. She's saying she cannot accept his proposal in a few weeks. Why doll herself up for this? Elyse is making the decision to leave. She regrets doing this whole thing. The next morning Colton looks rough. I think he cried all night long. His eyes are puffy. He's a mixed bag of emotions. He had a good day yesterday, but he can't stop thinking that he might get hurt at the end... that he's not enough at the end. The ten women head out to the jungle for the date. Caelynn thinks best case scenario she'll get lots of time with Colton. Worst case scenario she gets covered with spiders and snakes. A bit of foreshadowing there, I am sure. A forest guide shows them how to tap a tree for water, cut a banana shoot and eat it raw, start a fire with elephant poo. He pulls out some slugs and bugs to eat. Miss Alabama downs it to impress Colton. Nicole picks up an eel. Tayshia handles a scorpion. Anything in the name of love, right. Then, comes the really big snake, one of Colton's big fears. The guide splits them into three teams and tells them they have to go out and get food and water. One team is the two Hannahs and Demi. Poor Hannah (not Miss Alabama) for dealing with those two. Colton is with Nicole, Katie and Tayshia. Onyeka, Kirpa, Sydney and Caelynn. The Hannahs and Demi head back to the hotel for drinks (actually they bring back burgers and boos). Tayshia takes advantage of her time with Colton to make out in the jungle while her team watches. At the hotel, Cassie and Heather wait for the final date card. "Cassie - I'm looking for love deeper than the sea. - Colton"
Tayshia goes for a walk on the beach with Colton. He talks about how the whole Elyse thing made him question what was going on, but Tayshia pulling him away brought him some confidence. Since they were distracted with the other women today, maybe being alone on the beach they can make up for it (Colton's idea). The other women talk about Elyse leaving. Kirpa hurt herself in the jungle because she has a bandage on her chin. Then, we have to spend time with Miss Alabama and she professes she's falling in love with him (again). Hannah thinks she could survive the zombie apocalypse. Colton was impressed with her today. She annoys me. Nicole is talking about hometowns coming next. That's at 4 not 10. They are still a few weeks away. Anyway, Onyeka pulls former rival, Demi, away to talk about how Nicole said something, and isn't sincere about being there. Demi encourages her to say what needs to be said. Onyeka gets her time. She talks about how Elyse told her (Onyeka) that she was leaving, but first needed to tell her something that Nicole said. Nicole supposedly is just there looking for a way to get out of Miami. When she walks off we see how short her dress was. Colton goes and gets Nicole to talk. He shares what Onyeka said. She denies it and gets emotional. Meanwhile, Onyeka gets all the women wound up by telling them what Nicole supposedly said. Tayshia says, "Hold on, I was there, and that was not what was said." They are still talking when Nicole comes back. She calls Onyeka out in front of everyone. Tayshia says Onyeka should have had a conversation with Nicole first and the whole thing could be avoided. Tayshia takes Nicole away to calm down. Onyeka back paddles saying, "I just shared what I had been told." Onyeka also doesn't like Nicole becuase she cries every day. Much to my annoyance, Miss Alabama gets the rose for the date. Moving on to Cassie, she has been waiting a long time (five whole weeks) for this date. They too go out on a boat. He feels very comfortable with her. On the podcast I'm going on, Cassie is a favorite. She probably is, but I don't get it. Cassie and Colton are heavy at it on their way to a private island. Around the suite, all the women know there's a connection between Cassie and Colton. They are trying not to think about what's going on. (The women are divided in smaller groups, but having this conversation. They would be very upset to know what's going on in the ocean right now. I may be calling bull on Colton's V-card. He takes her back to his place. Cassie decides to talk about how she's definitely not a virgin. It's hard for her to know her extended family and community to know now that she's not (I guess by watching her confession right now). I'm not sure the need for this awkward conversation. Like it's all awkward. The women are talking about how long Cassie has been gone. Kirpa and her injured chin is getting furrowed brows. Moving on to cocktail party time. Time for some cat fights. Since Tayshia didn't get to go to the lantern festival in Thailand, she lights one up with Colton on the beach. They make a wish together and set it off. Everyone watches them. They wonder what happens when it comes down. Someone comments they will find out in 15 minutes. Demi gives Colton a trust ring and says she's always going to protect him. Then, makeout time. Kirpa is a dental hygienist, so she picks stuff out of his teeth. Hannah G. and Colton have a moment. A nervous Nicole has a lot to say to Colton. (Onyeka tells Demi she's looking out for Colton's best interest. Demi makes some Demi comment about Nicole crying.) Nicole tells Colton that Onyeka has been bullying her since day one. Onyeka is up next. Colton says every time they are together they take a step forward and she always puts a smile on his face. But... He did talk to Nicole. She brought up that you bully her, tell people Nicole's mentally incompetent. Onyeka rolls her eyes and says she never wanted to come into this and go negative. She's going to go for blood now. While she tells Colton she would never call anyone mentally unstable, she tells the producers that Nicole is psycho. Onyeka pulls Nicole aside. "Name one time I called you mentally unstable?" They then debate the differences or lack thereof between "mentally" and "emotionally. They get loud and everyone can here. Katie gets some time. I'm still not sure why she's around. No screen tie at all. Finally, Onyeka and Nicole get so loud Colton can hear . He leaves Katie on the couch to go break up the cat fight. However, they keep on and on and on in front of Colton until he finally gets up and walks off. Onyeka follows him. He shrugs her off. Nicole tries to follow him. He tells her he wants alone time. The show ends with a rose ceremony. I really, really, really hate when that happens.